To enter our July Release's The Big Giveaway CLICK HERE. To enter to win Scenery: It's a Wonderful Pennant continue reading! Today we have the pleasure of introducing you to the Scenery: It's a Wonderful Pennant. Another basic shape with plenty of variety and options, this set will be a building block for projects of all sorts including backgrounds, banners, trees, party hats and even ice cream cones! We've included 2 sizes of elongated triangles, an outline and solid tree trunks, 2 sizes of stars and little triangles to use to hang your pennants. Available for purchase on July 25, 2014. Let's get to the fun part and see what Julie, Shay, our guest stars, Diane Jaquay and Jenny Martin (our fabulous winners of the Playdate No. 2 challenge) and The Talent (our supernova creative team) made with it. And make sure you visit Diane's, Jenny's and each of The Talent's blogs for more knock-it-out-of-the-park projects and details. Don't forget to share some love with them too! Hello again! 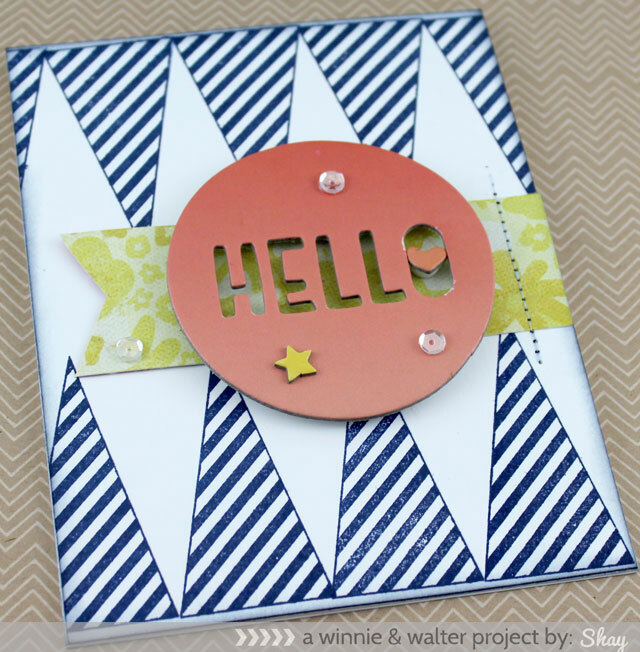 I'm excited to show you two more projects, this time using Scenery: It's a Wonderful Pennant - and wonderful it is!. This one is brimming with possibilities! :) Gotta love that, right? I've got a lot of love right now for our w&w digital files. On this card, I've chosen one of the pennants from the coordinating w&w digital files for Scenery: It's a Wonderful Pennant and resized and cut them with my Silhouette Cameo from white cardstock. Then, I colored them with favorite distress ink colors and my new smaller round ink applicators (love). Next, I stamped the DAD from Parentville, and then fussy cut them and inked over them to coordinate with the pennants. I did the same for the "so glad you're my" sentiment and just cut the ends at an angle. Everything is popped up on foam tape. 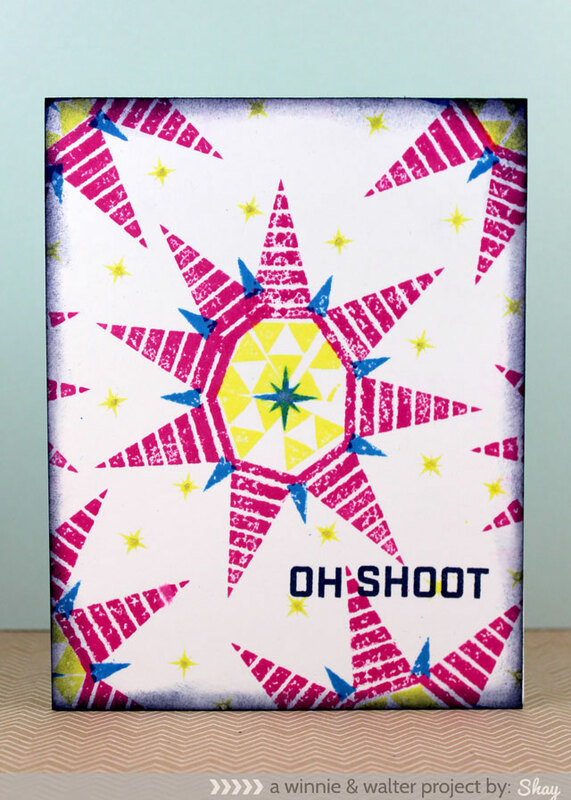 Next, I have a card that started out as a 3x4 pocket journaling card, but evolved into this fun shaker card. This is my first shaker in a very, VERY long time. I hope I make the DT proud! They seem to be very good at making them. 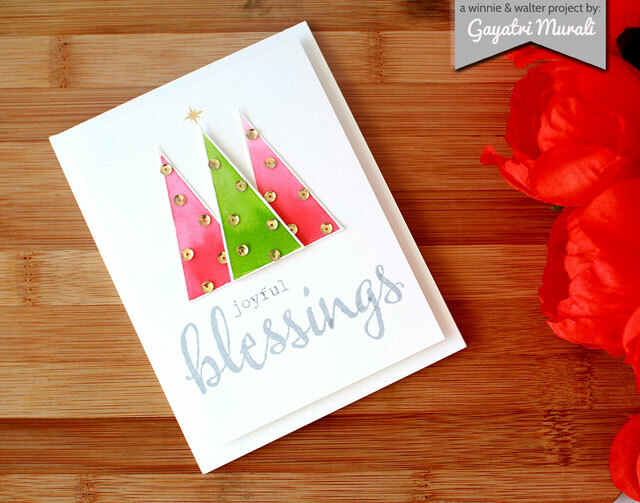 The card base is a series of stamping the small outline triangle with versamark and then embossing with clear EP for a background with a little interest. The white 3x4 card is stamped with the diagonal pennant twice in worn lipstick distress ink and then 2nd generation stamped with the flash image from The Write Stuff: Picture Perfect. I like the softer look of the ink for this application, and makes it feel like it is off in the distance. 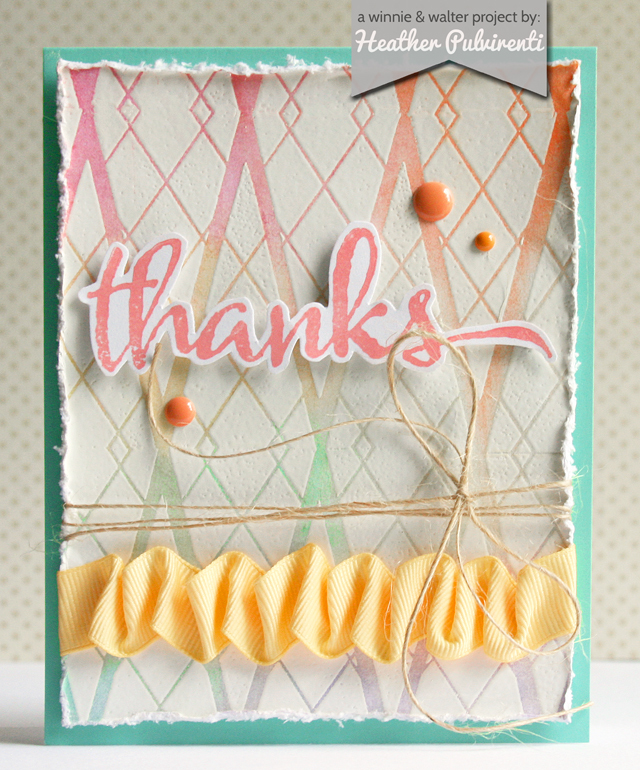 The sentiments are from Bubble Talk and are stamped in seedless preserves. I had to make this camera twice because I wanted this cut out area, and I needed more edge space to make the shaker portion, so I put the png of the camera in my Silhouette software, and after tracing the image, I de-constructed it so that it would only cut the outside edge and the inside opening, and then I made the lines offset to give me a slightly larger camera so that I could stamp on it, plus have space to add the foam tape along the edges. This was not difficult, but did that a little planning. After I stamped it, I colored the image using distress inks (crushed olive, worn lipstick, seedless preserves and dusty concord), and water and a brush. I think I got carried away a little with the sequins, but love how it turned out. Now, check out what Shay has made for you today! I marvel at her backgrounds, and I think you will too! 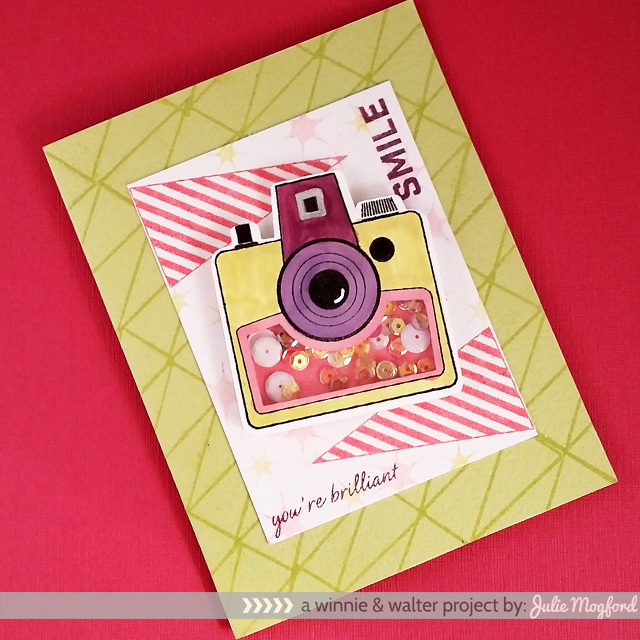 I am so taken with Julie's camera shaker card! Love it. 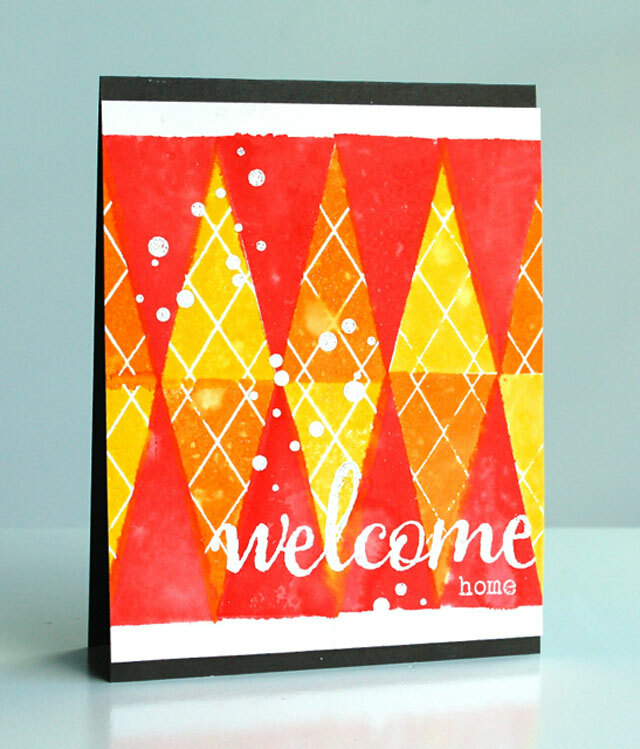 I have a couple of easy cards to show you today in which Scenery: It's a Wonderful Pennant make dramatic backdrops. I chose a fun, summery palette of picked raspberry, salty ocean and squeezed lemonade Tim Holtz Distress Inks with a dash of navy thrown in for good measure. You can get a fairly good impression with Distress Inks if you first coat the stamp with Versamark, but for this card I really love the uneven stamping of Distress Inks. I stamped the horizontal smaller pennant in a star pattern numerous times. In between each of the triangles I stamped the tiny solid triangle in salty ocean. Inside the pennant stars I stamped the larger star in salty ocean. I also stamped the triangles within a triangle from Scenery: Retangled & Triangled in squeezed lemonade inside the pennant star. In the background I stamped the smaller star in squeezed lemonade. I added a little clear Wink of Stella to the yellow and blue stars (does not show up in the photographs). I finished the card with the sentiment from Bubble Talk and edging the card with my ink blending tool and chipped sapphire Tim Holtz Distress Ink. My next card uses navy once again this time to stamp the diagonal stripe larger pennant at the top and bottom of a card. The navy is Hero Arts Mid-tone Shadow Inks. I added a banner made from a journaling card from Maggie Holmes Project Life Mini Kit which I sewed onto the card. Over the banner I added a sentiment Thicker from Trinket by Dear Lizzy for American Crafts with foam dimensional adhesive. I added the heart inside the "o" and little star both from the same Thicker package. The last bits are the sequins(naturally) and the addition of some chipped sapphire Tim Holtz Distress Ink to edge the card. You are in for some superb inspiration from our guest stars and the Talent! CLICK HERE to see more from Diane. CLICK HERE to see more from Jenny. CLICK HERE to see more from Heather. CLICK HERE to see more from Laura. CLICK HERE to see more from Joni. Lea will be joining us for our next release. 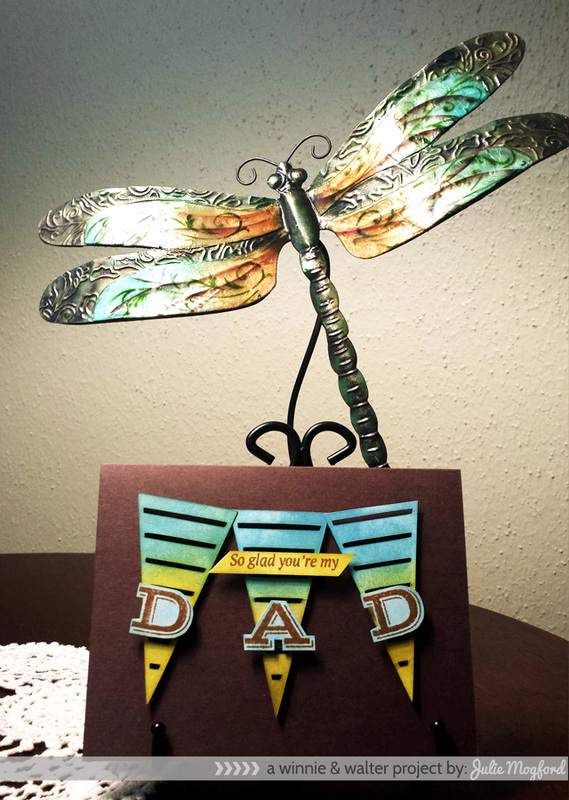 Comment here on this post for a chance to win a Scenery: It's a Wonderful Pennant stamp set of your own by 12:01 a.m. (central standard time) July 25, 2014. One comment will be chosen at random. All winners during our July Release will be announced on July 25, 2014. I love these pennants -- you've shown many ways we can use them. Beautiful cards! Such a cool and versatile set! Great inspiration from everyone on ways to use it as well! Stunning designs showcasing this gorgeous set, love it!!! Love this new Pennant set. 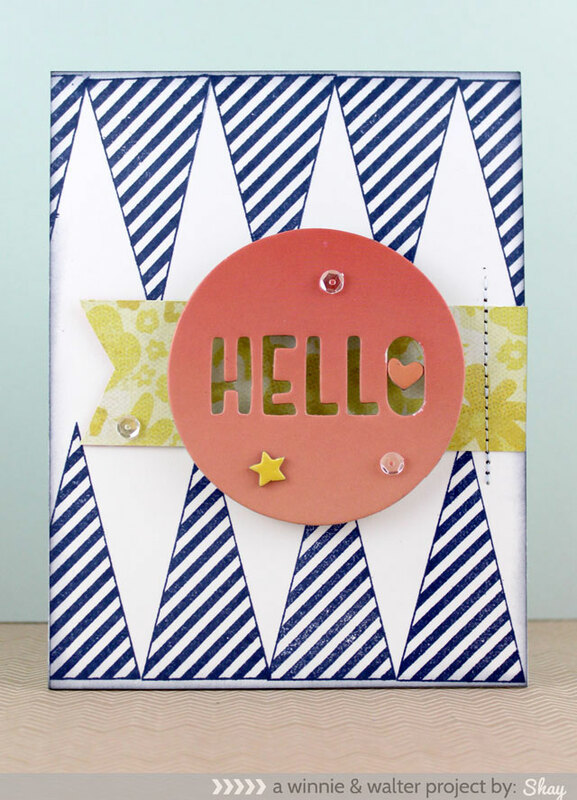 Especially Laura's Hello happy birthday card...love that background! Wow so many possibilities with this set. So awesome! Wow, a set just brimming with possibilities - as certainly demonstrated by your incredibly creative team's showcases. The Christmas trees really caught my eye! Fabulous! Beautiful cards and a beautiful stamp set!!! I can't believe how many ways the team has come up with to use the triangles! Great cards! What a great building stamp!! Love the versatility that your DT showed in their projects! I love all the different ways you can use the pennants set! Awesome projects too! Love the bigger size of the pennants. All of the projects are amazing. So many great ideas for future greeting cards. Thanks. I love pennants because there are so many wonderful things you can make with them! 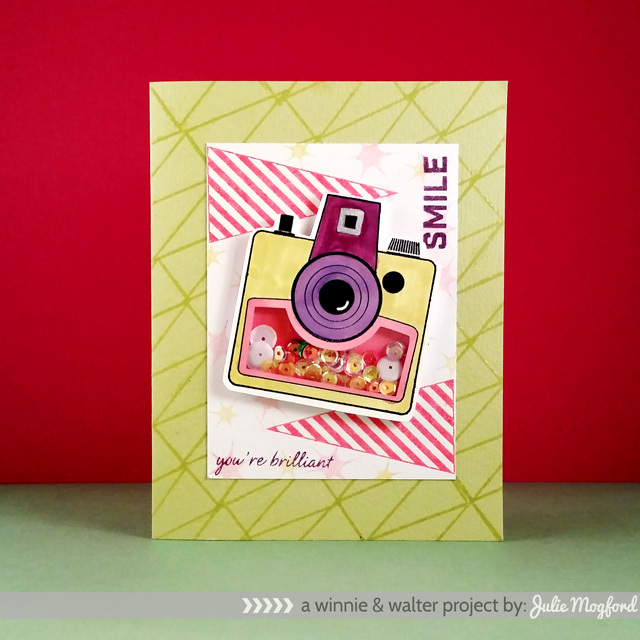 Lots of creative and happy ways to use this stamp set! What a fun set and great examples of how the set can be used! These are such great ideas! I am loving this new set! Very creative and colorful projects! I am so impressed with the DT. They have used the pennants in ways I never dreamed of. I especially love the Christmas cards! Wow!!! What an amazing use of Pennants!!! I adore all the talented DT's Cards!!! Very inspirational !!! Oh, this set looks fun! Great ideas on all the cards. 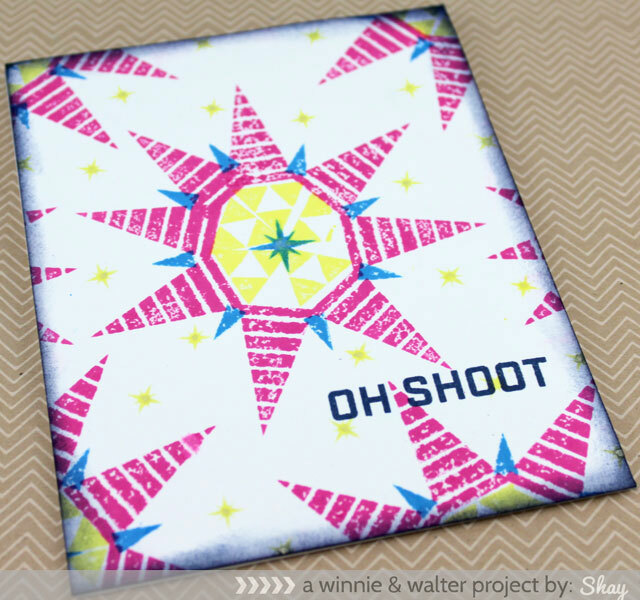 Fun ideas and projects using this stamp set! This new set looks fabulous! Love the versatility shown by the DT's cards. Ooooh, these pennants are fabulous! Such stunning creations too! I'm blown away by the creativity of the DT! 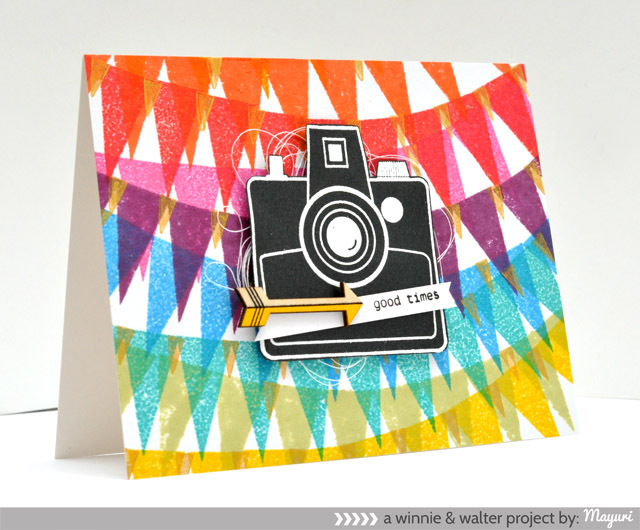 The pennant stamp set is a 'must have' with it's versatility. I love all those cards! The pennant stamp is my fav! It's a must have for me. It's so versatile! Goodness... So much creativity here!! I love it! This looks like a fun one to play with!! Very cool! Great examples ladies!! what fabulous uses of the pennants! I like card that has the da era and the sequin shaker! These pennants are so versatile! I can't believe all of the ideas from the design team! Thanks for sharing. I love this stamp set. Very cute ideas! 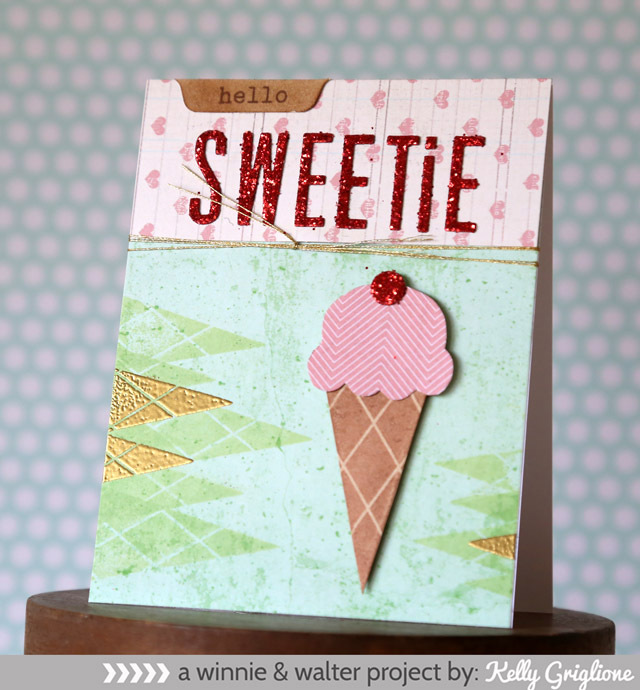 I especially the ice cream cone card! Such amazing creativity with this new set!!! I am inspired! Super cool inspiration from the DT and Guests!!! What amazing projects from the design team. Fantastic new stamps and there are so many ways you can use them....fabulous! totally awesome projects from all the team. This new set has so many ways it can be used. First I loved the triangle as a tree. NOW A PARTY HAT! HOW WONDERFUL. Oh wow! How versatile are the pennants!! Yes, please!! Great job, ladies!! Pennants make great Christmas trees!! Who knew? =/ Cannot wait for Blessings!! Incredibly versatile when you put your triangular thinking cap on! I am TOTALLY INSPIRED by the CRAFTY DELIGHTS shared today!!! 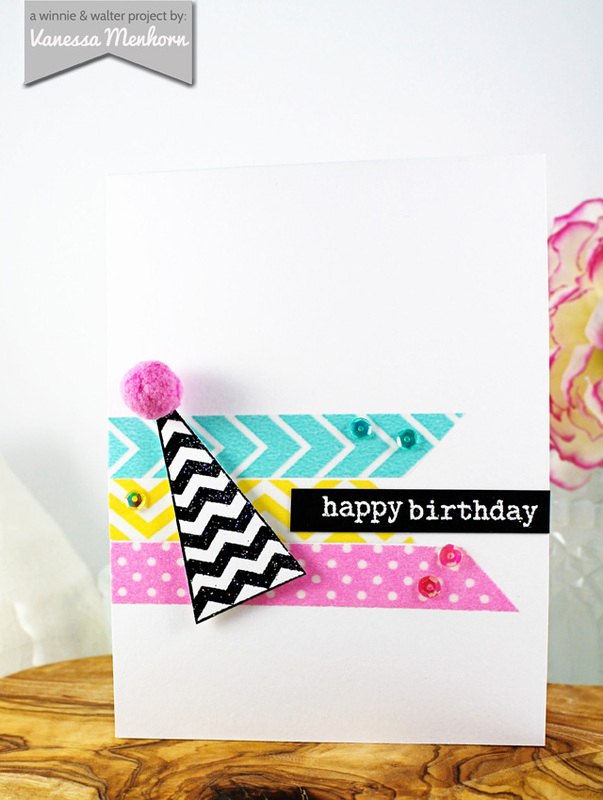 THANK YOU for sharing your CREATIVE pennant INSPIRATION and CRAFTY TEMPTATION!!! Amazing cards! The shaker camera is so cute! Never knew you could do so much with triangles. So glad I found you Winnie & Walter! lovely use of pennants.. very creative DT..
You KNOW I love pennants ;) and these super sized ones are fabulous! Gorgeous creations by the talent and guests. This is such a versatile stamp set! My graphic loving heart just loves all the backgrounds you've created with these shapes. Amazing. Fantastic cards and projects! Love the camera window with sequins. The colors are awesome! So many things can be done with those stamps! Creativity abounds. Can I borrow some? There are so many different things I can use the pennants for - and your designers have given me a bunch of ideas. Thanks! So many fun card ideas... awesome! Very versatile! Lots of clever inspiration from the DT - I love seeing the way each member used the pennant stamps differently!!! So many different takes on the same stamp set....perfect! Thanks for the inspiration!! I love all the ideas for this set! Very versatile! This set looks so fun! I LOVE all of the DT's projects-so creative!!! 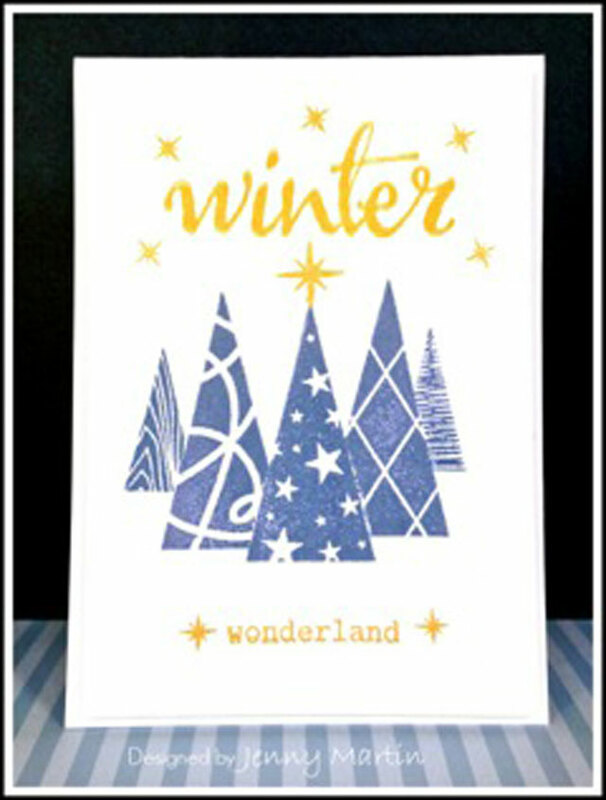 Love the graphic look of the stamps :) such creative cards and versatile stamps ! Another set that could so transfer into my scrapping - and yet is tempting me to do card making again! Love these samples! WOW... so many different ways of using this new stamp! Fabulous release day! More fabulous projects. Can't wait to get my hands on some of the new sets. Special Guest Star Jennifer McGuire! With Love and Gratitude to Jennifer McGuire! Special Guest Star Julie Ebersole!